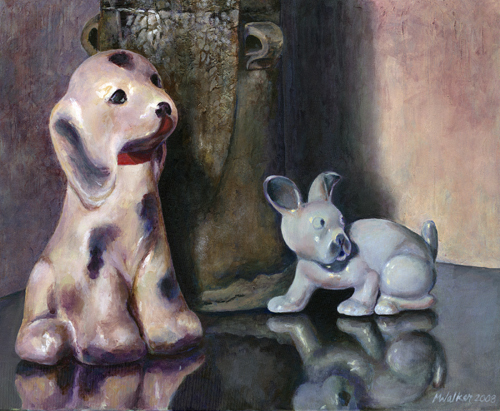 Published June 29, 2015 at 500 × 411 in Porcelain Pups. 20″ x 24″ acrylic painting on canvas. Exhibited in Toledo Museum of Art, “Toys, Toys, Toys” – 2015. Copyright © 2019 Marty Walker Art. All Rights Reserved.